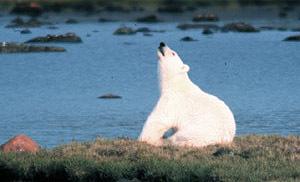 The Arctic Ecology field course is designed to provide students with an introduction to Canada's arctic. The course provides experience with the plant and animal life found in marine, freshwater and terrestrial ecosystems in the high arctic. Situated 15 km east of Churchill, Manitoba, this centre provides accommodation and dining facilities for up to 75 people, year-round. Two laboratories, a library, herbarium, and meeting rooms are present, as well as cold and frozen storage rooms. This entire region lies within the Hudson Bay Lowlands, where innumerable small ponds dot the landscape because of poorly draining soils. 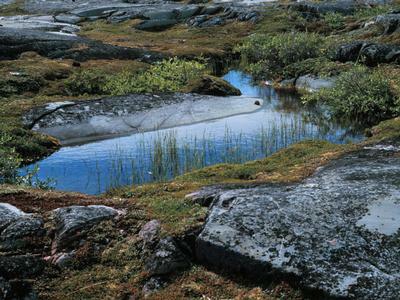 Shrub tundra lies along the west coast of Hudson Bay, where the treeline dips south of the Thlewiaza River into Churchill. Reindeer lichen,Cladina rangiferina, cotton grass, Eriophorum sp., and purple saxifrage, Saxifraga oppositifolia, comprise the dominant vegetation, while dwarf shrubs manage to survive and reproduce. Stunted spruce trees increase in number and size farther to the south, and an obvious treeline begins 15 km south of Churchill. This entire region lies within the Hudson Bay Lowlands, where tundra polygons and eskers are common, ponds dot the land, and raised beaches continue to form under isostatic rebound. 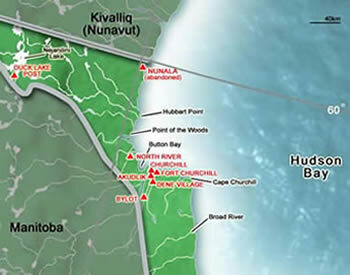 The town of Churchill is a small settlement at the mouth of the Churchill River and is a common stopover for people travelling to the High Arctic. 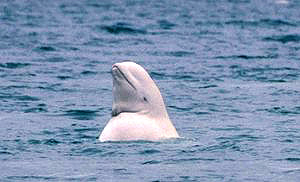 Officially, the population is 963, but it varies from 800 to 1200 people, depending on the season. 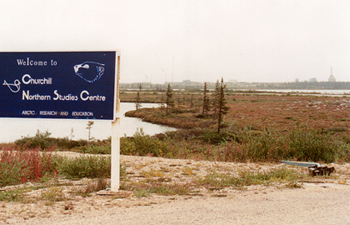 Nearby, an Inuit reserve, confusingly called Churchill, is home to 316 people. 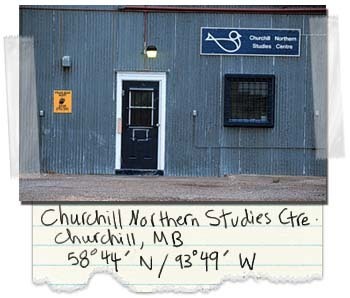 Founded in 1976, the Churchill Northern Studies Centre is an independent, non-profit research and education facility. Specific details for this year's offering can be found in the Course Outline.